Ralph Alvin Nagel Sr., age 90, of Monee; Green Garden Township, passed away on Tuesday, November 13, 2018 at Riverside Miller Healthcare and Rehabilitation in Kankakee. He was born on May 16, 1928 at home in Green Garden Township, the son of the late Carl and Verna (Wanner) Nagel. He married the late Mary (Prairie) Nagel on May 21, 1949. She died on January 29, 2003. Ralph was a lifelong farmer. He was born and raised on the family farm which is over 150 years old. 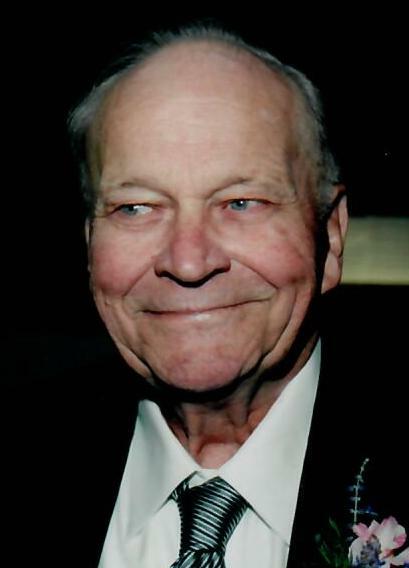 He was an avid Chicago Cubs fan, a member of St. John’s United Church of Christ, North Peotone and was a member of the Will County Farm Bureau. He is survived by 2 sons and daughters-in-law, Fred C. (Ann Marie) Nagel Sr. of Green Garden and Ralph A. Jr. (Kim) Nagel of Manteno; 7 grandchildren, Fred C. Nagel Jr., Elizabeth Manning, Phillip (Joanne) Nagel, Selena (Patrick) Lenard, Ryan (Nicole) Nagel, David Nagel, and Jesse Nagel; 6 great-grandchildren, Elijah, Gabriel, Jonathon, Jacob, Logan, and Alexis; and numerous nieces and nephews. He was preceded in death by his parents; his wife; a son, Edward N. Nagel (May 3, 2011); a grandson, Nicholas C. Nagel (Oct. 31, 2007); and a brother, Glenn W. Nagel (May 3, 2005). Visitation will be held at the Fedde-Helfrich-Cross Funeral Home on Friday, November 16 from 3:00 p.m.-8:00 p.m. Funeral services will be held at St. John’s United Church of Christ, North Peotone, on Saturday, November 17 at 10:00 a.m. There will be visitation at the church from 9:00 a.m. until the time of the funeral service. Pastor Patricia Morton will officiate. Interment will be at Skyline Memorial Park in Monee. Memorials may be directed to the family’s wishes.